Hey guys, it’s Lauren, visiting from Tastes Better From Scratch, and I have a tasty, tangy, sweet, and spicy, amazing salsa recipe to share with you! When we were little my twin sister and I would often go to our best friend Ali’s house after school. We loved to snack on chips and salsa and they always made fun of me because when I eat chips and salsa, I’m basically eating pure salsa. I take the tiniest little chip and I scoop up the maximum amount of salsa that I can before the chip breaks. I’m a fan of the 10% chip, 90% salsa ratio. I’ve just always been a lover of spicy, tangy foods! 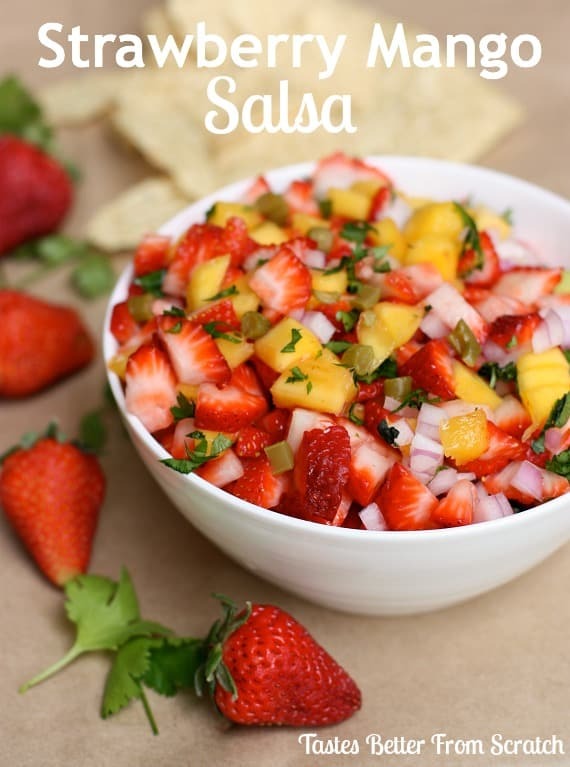 The first time I’d heard of fruit salsa was when my mom and I were at Costco, probably around the same young age that I’d devour it at my friends house. One of the sample ladies was serving peach salsa, and I was eager to try it. It was instant love I tell you. That sweet/spicy combination was right down my alley. 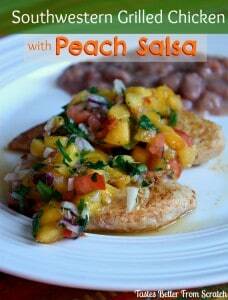 You can find a homemade Peach Salsa recipe on my blog! 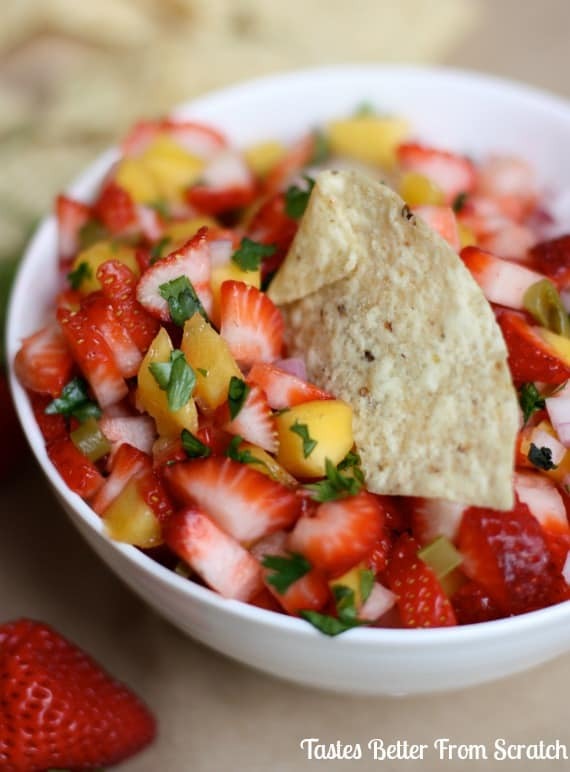 This Strawberry Mango Salsa runs in the same family and it’s delectable. (Does anyone still use words like “delectable” to describe food, besides me?) Seriously, this stuff is the “eat it plain with a spoon” kind of addicting! 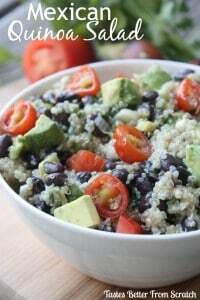 It’s fresh and healthy too, so you don’t have to feel guilty eating the whole bowl by yourself! 🙂 I hope you all enjoy it, and stop by Tastes Better From Scratch for some more fun summer recipes! 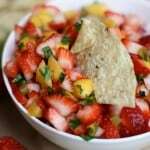 Combine strawberries, mango, jalapeño, red onion, and cilantro in a large bowl. Drizzle with honey and lime juice and stir well to combine. Refrigerate until ready to serve. 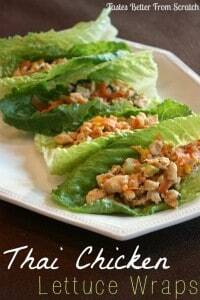 Looking for more fun and healthy Summer recipes? Try one of these! Hi, I’m Lauren from Tastes Better From Scratch! Just like the name of my blog, I live by the motto that everything tastes better homemade! When I’m not chasing my cute one-year-old around, I love to be creating simple and delicious homemade meals in the kitchen! I hope you’ll stop by and visit soon! Agreed Jamielyn! Lauren from http://www.tastesbetterfromscratch.com is a genius in the kitchen!! This looks SO good! Like.. I almost need to comb my hair and run to the grocery store to get all of the ingredients good… PINNED! Um…WOW. I’m normally not a “fruity” kind of gal, but I might have to make an exception. PINNING this shiz. ASAP!